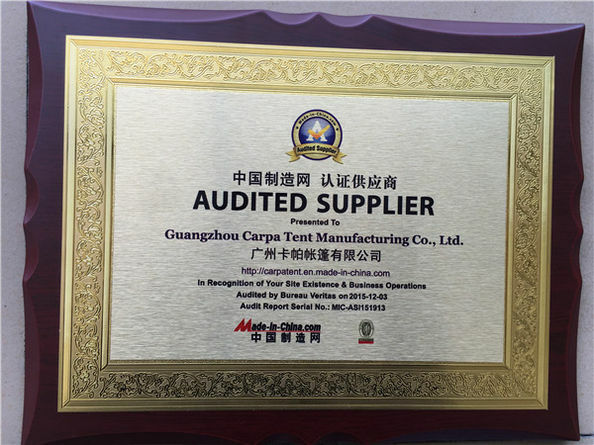 Guangzhou Carpa Tent Manufacturing Co., Ltd is a professional manufacturer and exporter of aluminium framed clear-span structures, tents and marquees in China. Our structures are nearly for any purposes and according to your needs, we can supply different turnkey solutions, like wedding solution, event solution, party solution, exhibition solution, sports solution, warehousing solution, etc. And we have crowd shaped tents and marquees with various sizes options, A shaped tents, pagoda tents, gazebo tents, dome tents, curved tents, polygon tents, mixed tents, multi-sided tents, double deck tents, and custom designed tents, the width’s rang is from 3m to 60m, the length unlimited, increased or decreased by 3m/5m bay distance. All Carpa tents system are strictly designed and manufactured according to the European safety standard and quality control standard. 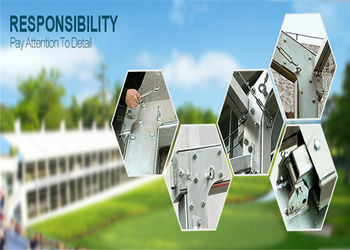 The main framework adopts hard pressed extruded aluminium alloy, the tent covers use double PVC-coated polyester textile ( 650~1250g/m2, flame retardant to DIN 4102 B1, M2 ) and the tent connectors and base plates are made of hot-dip galvanized steel insert. 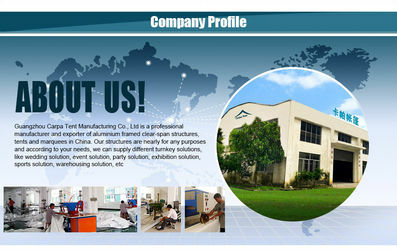 Better materials make a better tent structure, we make every effort to provide you with a high quality product. Carpa Tents are manufactured in accurate design theory with over 17-year experience practice, and we execute and follow up the entire design and manufacturing process in-house, which leads to no defects, and rapid construction time. And our tents are engineered to reduce operating and managing expenses, with superior energy efficiency, which makes lower ongoing cost. When you choose to work with Carpa Tent, you are choosing the most cost-effective tent company in China (our tents delivery a combination of excellent quality and good pricing). Carpa Tent is the ideal Tent sales partner for tent rental companies, party and event planners, aviation companies, government, army and other organizations. Carpa Tent started its tent rental business with some small tents ( 3m*3m pagoda tents, 4m*4m pagoda tents, 5m*5m pagoda tents, 6m width tents, 8m width tents and 10m width tent ) this year in China for car exhibition, product launches, corporate events, county weddings, etc. Professional engineers with over 15 years work experience in clearspan structures field joined us, then we started our professional tent designing and manufacturing, and started tents and marquees sale. Finished the manufacturing of 50m width tent, which was an important major breakthrough at that time (covering about 6,000 square meters ), we were the second tent factory to manufacture so big tent. Finished the designing and manufacturing of 30m width arcum tents/dome tents and 30m width curve tents, and got very high reputation and customer satisfaction. Perfectly adopted the hollow glass walls to our tents for outdoor hospitality solutions, it was with better soundproof effect. Perfectly adopted the solid roofs to our tents for permanent solution, it play well in very cold countries and areas. Cooperated with some international hotels ( like Sheraton hotel, Hilton hotels, Marco Polo hotels, etc ) for expansion place solution with professional suggestions and designing. 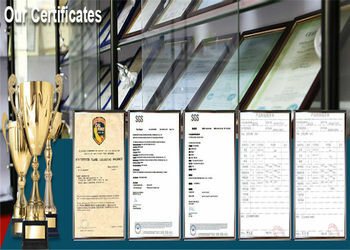 Carpa Tent is one of top manufacturers of Tents & Marquees in China. 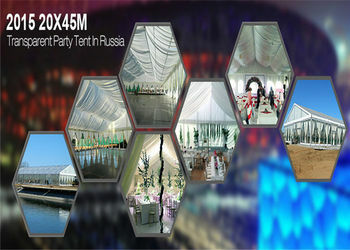 We supply outdoor event tents, outdoor party tents, large wedding tents, marquee tents, European style tents, glass walls tents, aluminium frame tents, clear event tents, exhibition tents, clearspan structures, pagoda tents, outdoor sports tents, warehouse tents, aircraft hangars, and custom event tents. All Carpa Tent structures are made of high quality high grade aluminium alloy, galvanized steel and heavy duty PVC fabric. We provide quality tents and marquees to withstand all mayjor weather conditioners at affordable prices. As a proverb says, pictures say more than a thousand words, Carpa tent not only gives you visions, but also lets these become reality. Carpa tent uses sketchup during planning process, this way, your constructive and reactive ideas can be checked quickly and be fitted excellently to your individual needs by means of expressive 3D graphics. 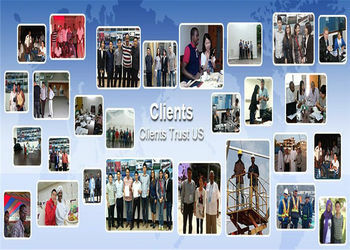 Our designers have extensive experience, good concept understanding and design skills. Carpa Tents are manufactured in accurate design theory with over 18-year experience practice, and we execute and follow up the entire design and manufacturing process in-house, which leads to no defects, and rapid construction time. 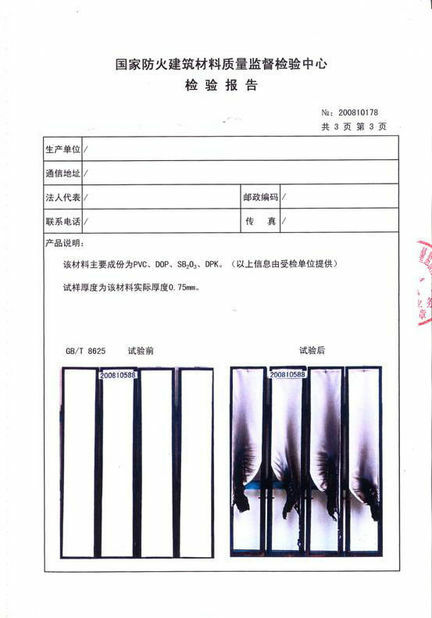 With highly professional sales team, Carpa Tent provides timely response, profound understanding, high sense of responsibility for every customer.